Mass homelessness in Canada emerged in the 1980s, following a massive disinvestment in affordable housing, structural shifts in the economy and reduced spending on social supports. Since then, stakeholders across the country have tried and tested solutions to address the issue. These responses, largely based on the provision of emergency services, have prevented meaningful progress. Fortunately, there are many signs that we are entering a new phase – one that will lead to an end to homelessness in Canada. This next phase is marked by the promising results of the Housing First model across Canada, significant reductions in homelessness in Medicine Hat and Hamilton, federal interest and investment in housing and homelessness, and importantly, the return to a National Housing Strategy – a long overdue conversation in Canada. 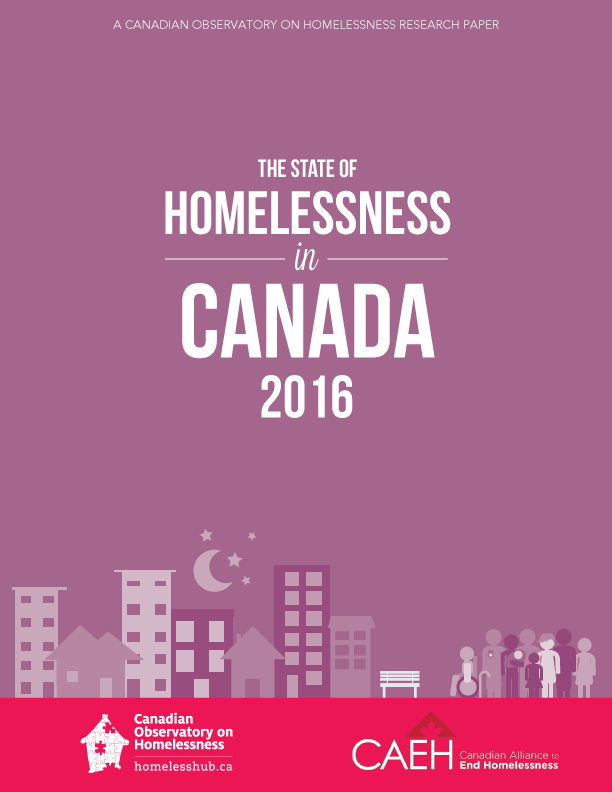 We know that ending homelessness in Canada requires partnerships across public, private, and not-for-profit sectors. It means working upstream to prevent homelessness, as well as providing safe, appropriate, and affordable housing with supports for those experiencing homelessness. With support from all orders of government, a commitment to housing as a human right, and evidence-based solutions we can, collectively, prevent and end homelessness.